Cutest letter ever!!!! LOVE IT!! Congrats on the weight loss and making your goal. That is awesome!!! Ohhh MMMM GEEE what a cute letter!!! 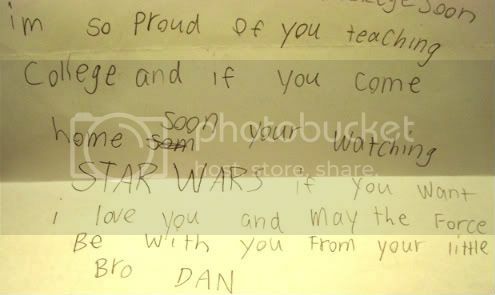 OMG that letter is the definition of cute. Have you framed it yet?? :) Congrats on the loss. You are are making great progress. Such a tough week, I'm sorry about that jerk. But were victorious anyway... you have a lot to feel proud about.